The ultimate digital watch for you! Aha! dude, xfresh forum is now faster, but where all the archives go? did you all deleted them? *sigh..
Oh. I was supposed to notice the cut? (Cut? What cut?) 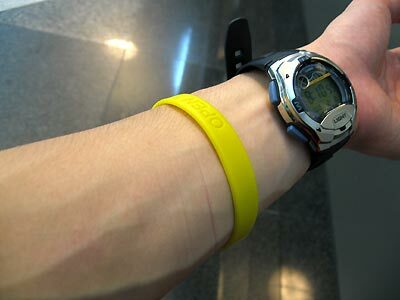 I was kinda like &quot;Hey look, BRIGHT YELLOW WRISTBAND HOW GAUCHE&quot; as if I were some elitist prig.